"We knew we had a problem. Even with the overhead lights on, backing into our station on a bright sunny day was like backing into a black hole. 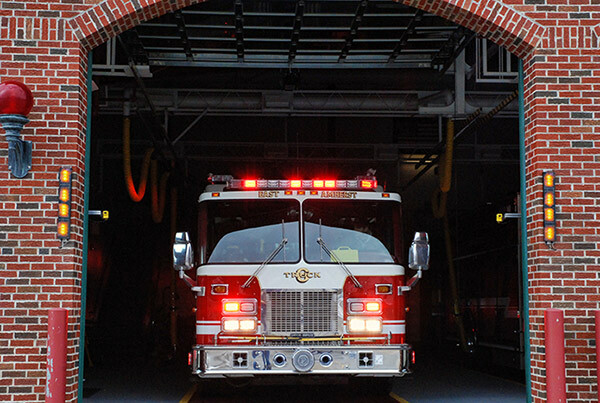 The line on the floor and the firefighter guiding the driver both were invisible. Then we discovered IllumiDoor. 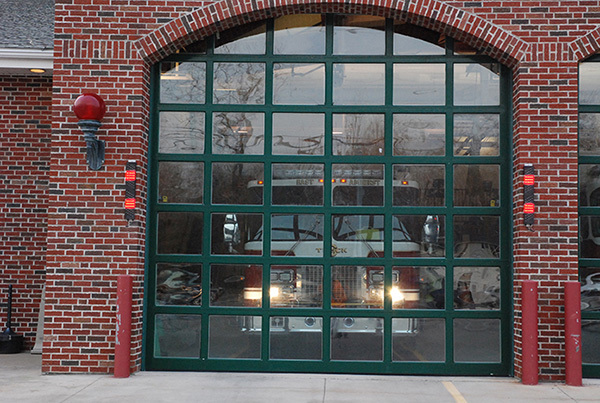 Now drivers back through our narrow doors with confidence and when parked inside, the apparatus is aligned perfectly. The Illuminated Floor back in line is visible even during the brightest of daylight and gives the driver a clear target. The remote for the spotter eliminates any miscommunication between the driver and the spotter. It really works." 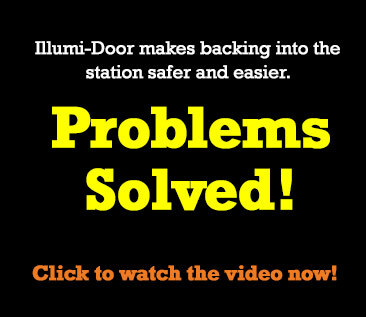 "Honestly it is working amazing and has fixed our problem of backing into a dark station. I don't have any more concerns about guys backing into anything or anybody. Everyone is very happy with it for sure." "We received the IllumiDoor system 2 months. It works really great for our Department. It keeps our personnel out of traffic as we are on a major road way, especially at night time. Captain Larry Marciano, Secaucus Fire Dept.